Highly desirable, premium inside corner wrap around balcony end unit in the Shores of Panama!! 2 units available, one on the 6th floor, one on the 8th floor. Same floor plan and views, convenient access between the units with the stair case nearby. Great location in Panama City Beach next to world famous 'Pineapple Willy's' and nearby Pier Park. Many upgraded amenities including Stainless Appliances, Full Washer/Dryer, Flat Screen TVs, sofa sleeper; all Bedrooms have Flat Screen TVs & DVD's, and many other quality furnishings. One of only a few end units featuring a large wrap around balcony with a Great Room which has 2 floor to ceiling Patio Doors (Gulf View) & (Lagoon Pool View) with views of the sandy Gulf Coast, spectacular sunsets and the pool deck. Our unit is conveniently located next to the stair case for easy access to the pool, hot tub or beach without a lengthy elevator wait! The great room was designed with your comfort in mind. A beautiful leather sofa sleeper is a great place to relax after a day at the pool or beach. 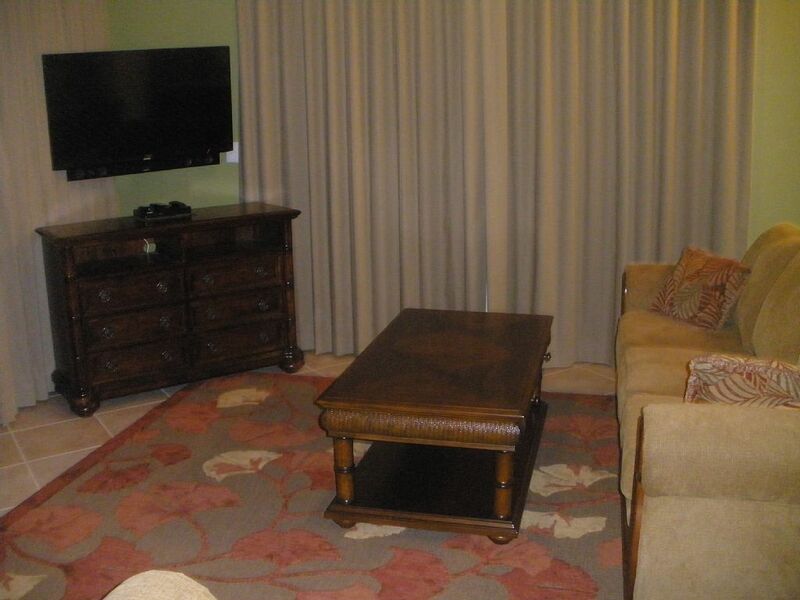 We have added a new 40' LCD TV, DVD player, Surround Sound Theater System, and dining table for extra comfort. The spacious master bedroom has a King Size bed with Sealy pillow top mattress and luxurious sheets that offers the most comfortable nights sleep. 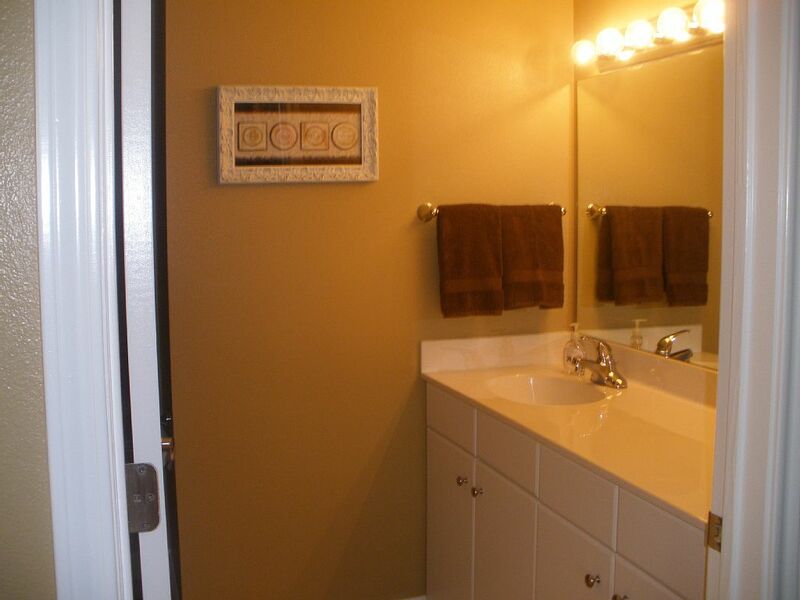 The Master Suite has a separate private door to the balcony, a wall mounted 32' LCD TV with DVD player for your viewing pleasure and the convenience of a beautiful full private bath with granite counters and tile floor. Our kitchen is equipped to tempt your culinary skills. 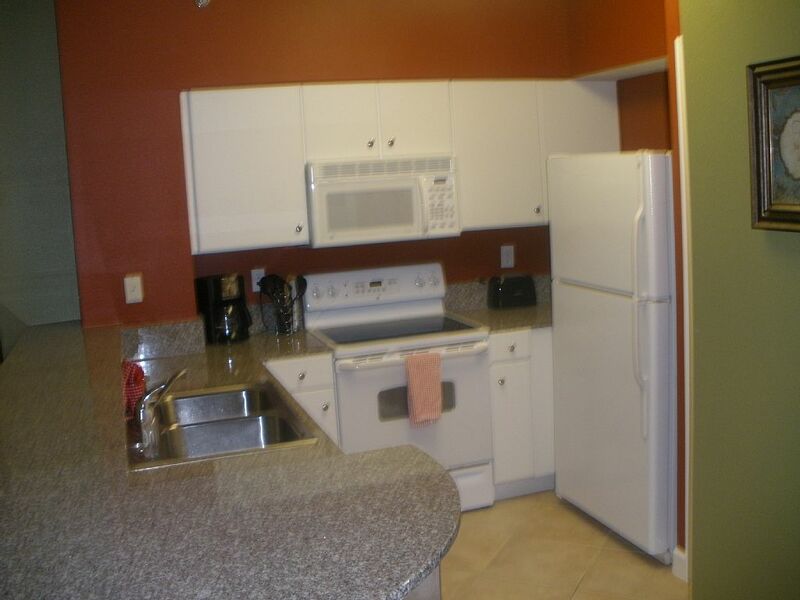 Granite counter tops, smooth top stove and upgraded stainless steel appliances are provided to make you feel at home. 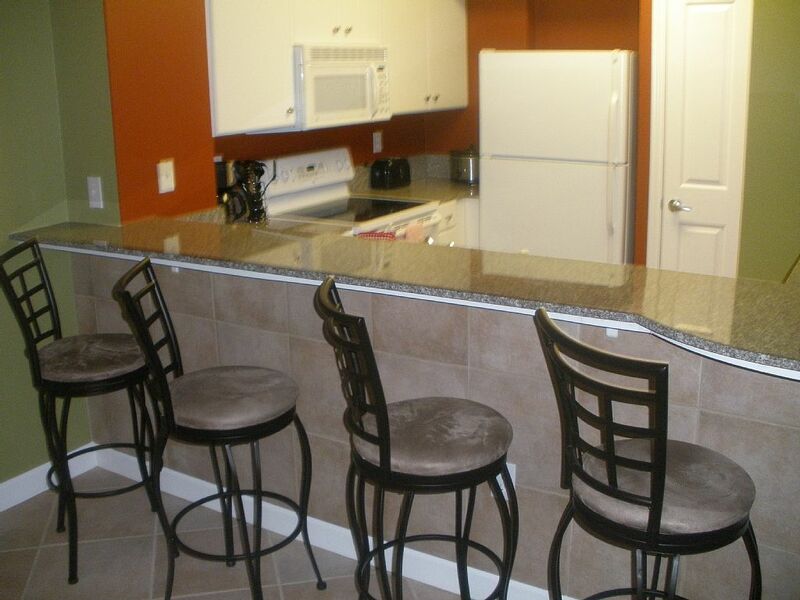 In addition to the dining table there are 4 bar stools around the kitchen snack bar. 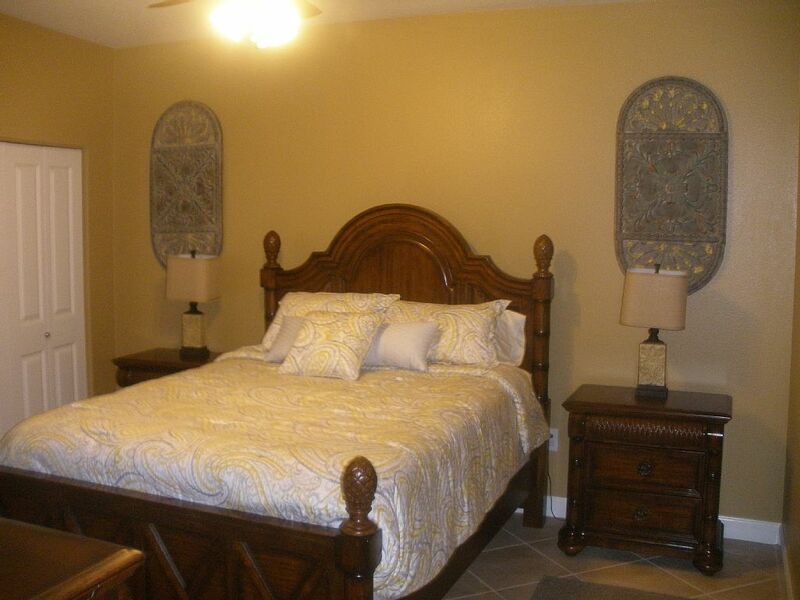 The guest bedroom has a Sealy pillow top queen mattress and luxurious sheets for a comfortable nights sleep. 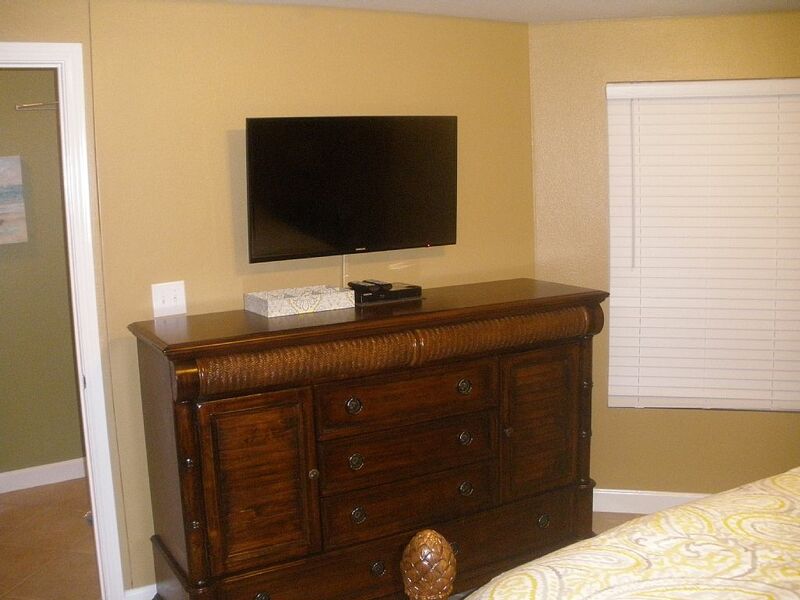 We have added a wall mounted 32' LCD TV with DVD player. 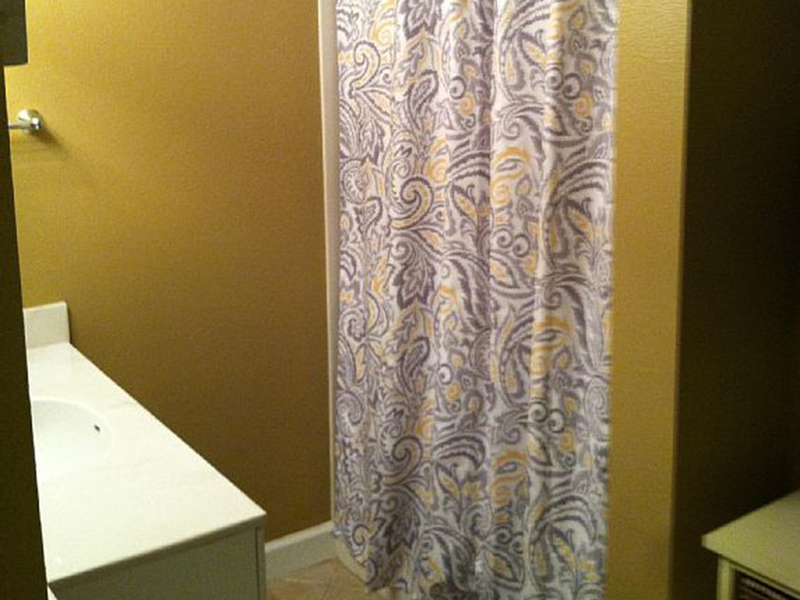 The guest suite has a private bath with shower and laundry facilities with a large washer and dryer. 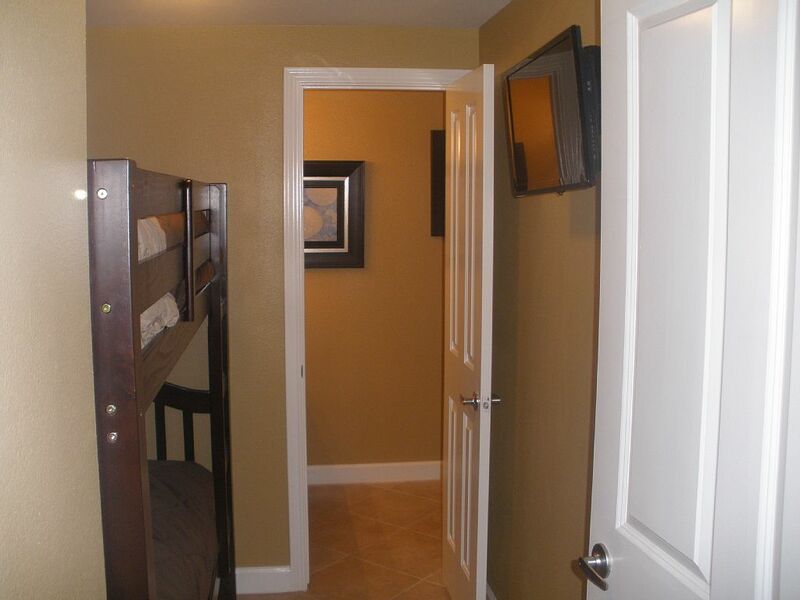 The Bunk room has a door for added privacy, a wall mounted LCD TV and DVD player and private bathroom. The Shores of Panama has one of the largest pools in all of Florida, nearly 20,000 square foot of lagoon pool and outdoor hot tub featuring waterfalls, fountains, two tiki bars, and exotic tropical landscaping. 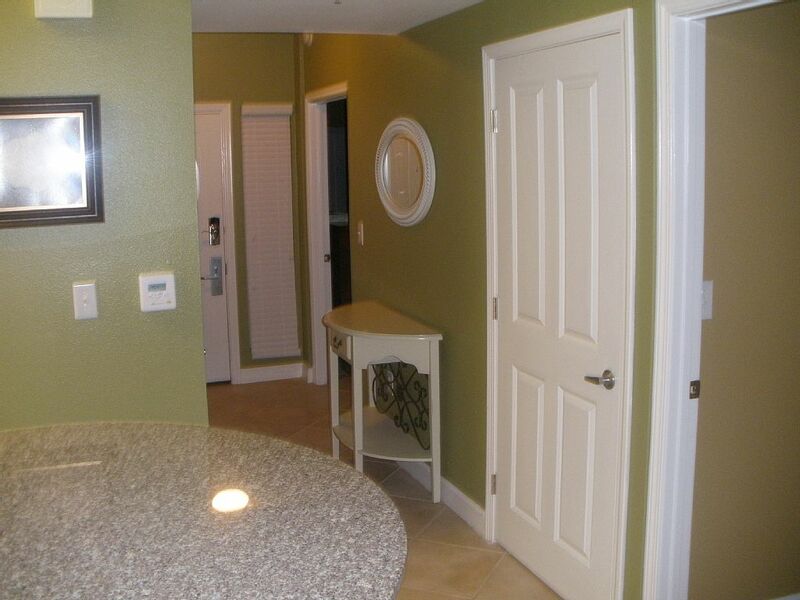 There is also a large, heated indoor pool & hot tub, a fitness center, and a Full Service Spa. The Shores of Panama was created to be more like a resort than just another box with a pool along the beach. Pier Park, a mega family entertainment, restaurant and shopping development is only 4 miles away. 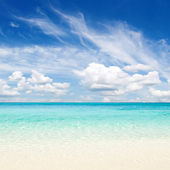 To insure your perfect vacation we offer many extra amenities with our condo: ceiling fans, granite counter tops, upgraded light fixtures, **wireless internet**, and reserved parking. 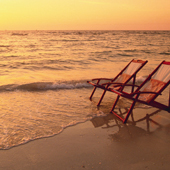 Don't forget the pub height table and chairs on the balcony to view the gorgeous sunset without looking through rails. 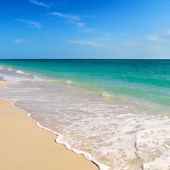 We traveled to Panama City Beach and stayed at the Shores of Panama during Easter Break in April 2009 and experienced the best family vacation in many years. After staying for a week we knew it was something we wanted to enjoy for years to come and purchased a new unit and quickly painted and furnished the unit to share with others. 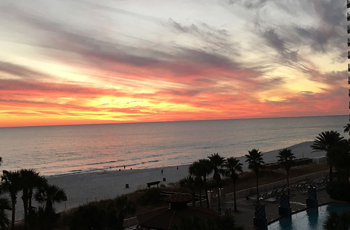 We choose Panama City Beach due to its miles of sugar white sand shoreline (which has been rated as one of the top beaches in Florida), the new International Airport in Panama City scheduled to open in 2010, and abundant dining, entertainment and shopping. 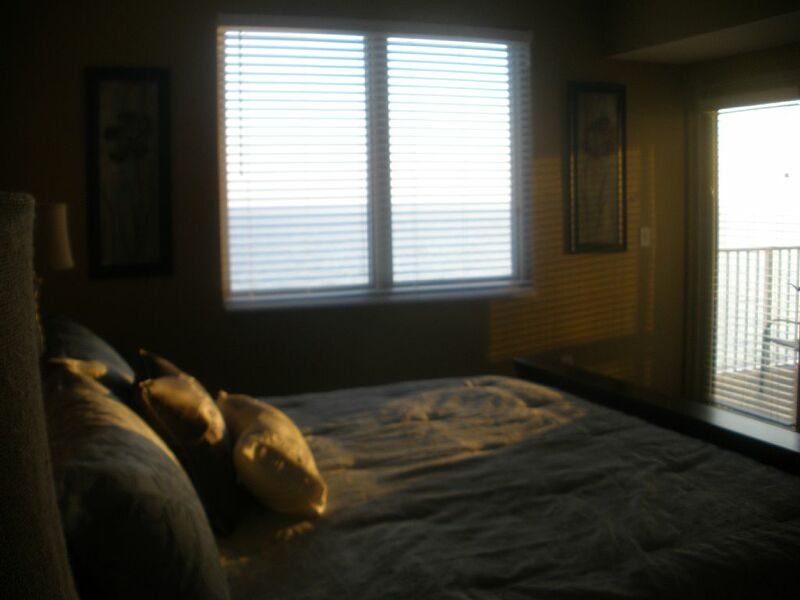 The views of the nightly sunset from the living room and wrap around balcony are spectacular!! Age verification at check-in will be required. A credit card is required to be on file to rent condo. We have been coming to the panhandle for 22 years. Russ and Christine's condo at shores of panama is one of my favorites. They were easy to work with and handled everything so that it made our stay very easy. The only thing we didn't care for was the elevator waits. It was crowded that week and the elevators took a while. We did tone up using the stairs quite a bit. Exceptional condo with outstanding views from the wrap-around balcony overlooking the beach and pool. Luxurious furnishings with all the accessories you will need. Russ (owner) is attentive and exceeded my expectations. 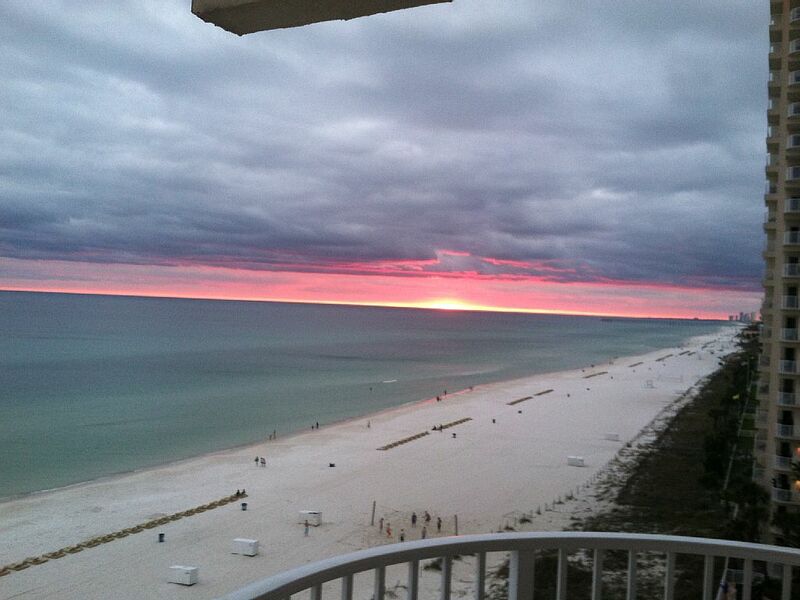 If your planning a vacation in Panama City Beach this is the ONLY place to stay. Wonderful condo with outstanding scenery from the wrap-around balcony overlooking the beach and pool. 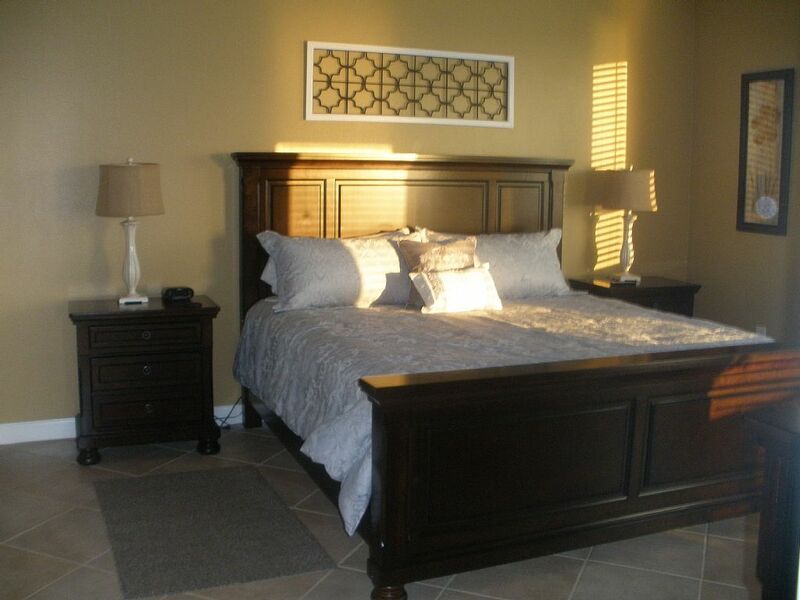 Beautifully furnished with all the accessories you will need. The owners are easy to work with too! You will be glad you rented this condo!